A lot of makeup powders and products have their own handy mirrors contained and I don't know about you but I'm dreadful at remembering to clean them. By the end of the week/month/year I'm moving the mirror around trying to find a clean spot in which I can actually see how I'm applying mascara to my lashes. 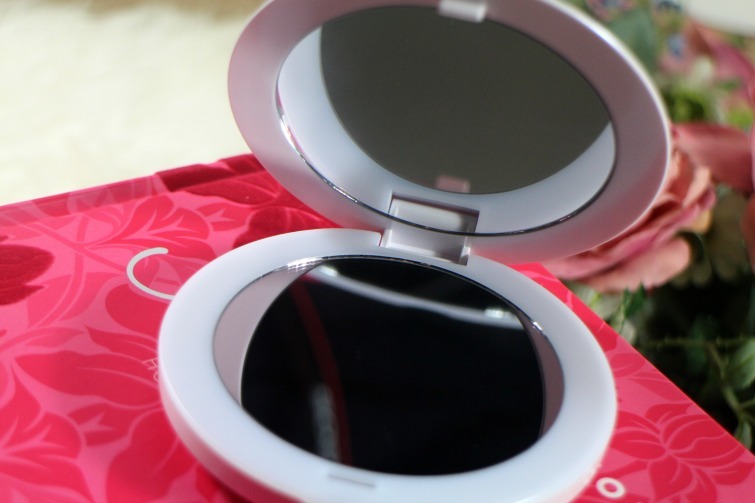 Enter the Elle Macpherson LED Compact Mirror*. 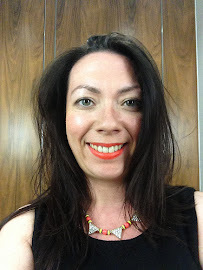 I used to always have a separate mirror (the Chanel compact which you can find here) in my make up bag and having been reintroduced to how handy they are I know I won't be without one. Like many compacts the Elle Macpherson mirror is two sided, one of which is for magnification and very handy for tidying up those brows before a night out but the extra from Elle's mirror is the LED lights which help out with things are a little too dark. I don't know about you but so many bar and restaurant bathrooms make me wish I'd brought a torch light with me they're so dimly lit that this has come in very handy for a quick once over. The price of this mirror compact sits around the £10 mark which makes it half the price of the Chanel one I mention above which doesn't have any such illuminating features. It's also quite a handy size fitting comfortably in the palm of your hand. If I were to be critical the colour lends itself well to getting a little grubby but as long as the mirror remains clear for all to see I'm happy. Do you carry a compact mirror in your handbag? I have two mirrors on me at all times... One in my Balenciaga wallet and one in my Chanel compact!